Strung out in a swaying hammock, fresh frangipani buds in one hand and a rum coconut in the other, I while away the hours before dinner, too unwound to even pick up a book. I could be surfing or boating amongst blue whales, or poking around in search of yet another secret strip of sand, but there’s no need: nirvana is right here. After almost a month of long Sri Lankan bus rides, zigzagging a hectic path across the country, I begin to realise that blissed-out, beautiful Marakolliya Beach will be my undoing. Days melt into each other and the slow, easy pace of living, eating and sleeping within easy reach of the sea becomes my new norm. I wake, stretch and fall into the sea, swim, eat, stroll and laze, sip cocktails on the beach and watch the stars appear: rinse and repeat. 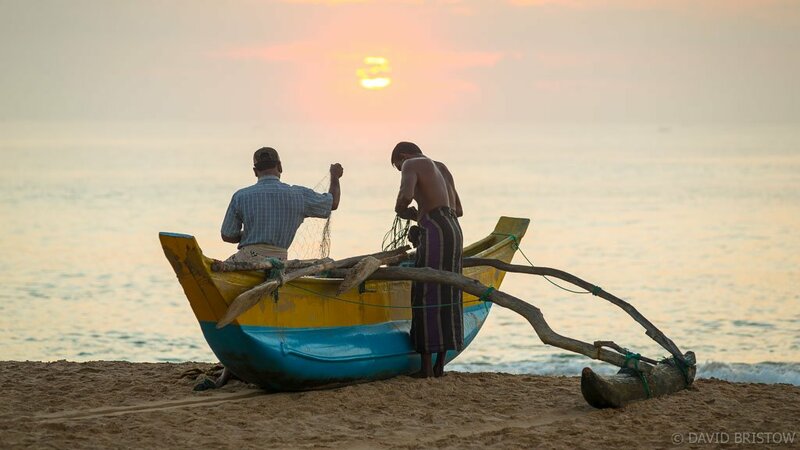 There’s a beautiful rhythm to it and like so many travellers before me, I’ve finally succumbed to the irresistible charm of Sri Lanka’s gorgeous South Coast. Our family of three beds down at the Starfish Beach Café, a popular backpackers joint but a noisy choice I soon realise for a solitude seeker like me. The next day we stroll into Sanjana and throw down our backpacks in a breezy thatched bungalow with ocean views and a tiny $20-a-night price tag. There’s no sale pitch here (and no English spoken) and the elderly owners appear daily to sweep the verandah and smile. We are utterly undisturbed and it’s glorious. 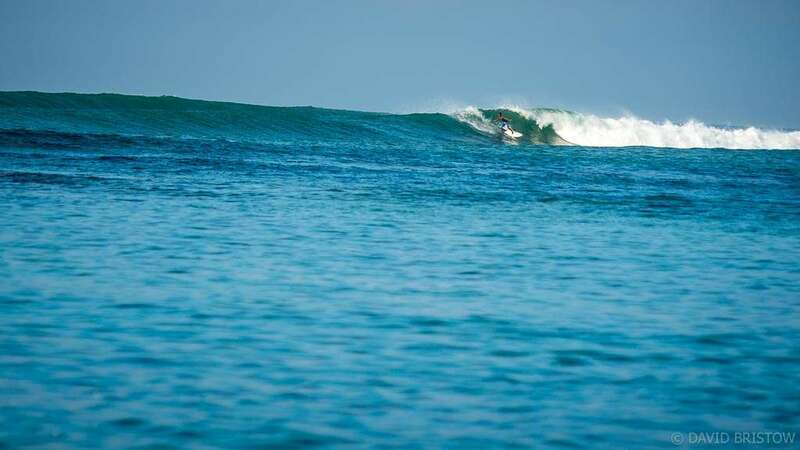 It takes mere minutes to slip into swimwear and skip across the sand to the water’s edge where we snorkel inside the beach breakwater and body surf on beginner waves. 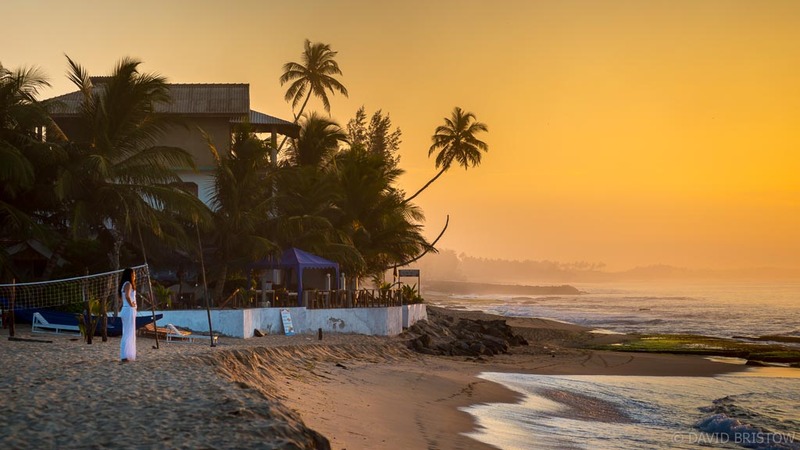 Our daily search for the spiciest of Sri Lankan cuisine leads us away from the touristy guesthouse cafés and into Tangalle’s tiny town centre, following our noses to a string of bustling curry cafés. 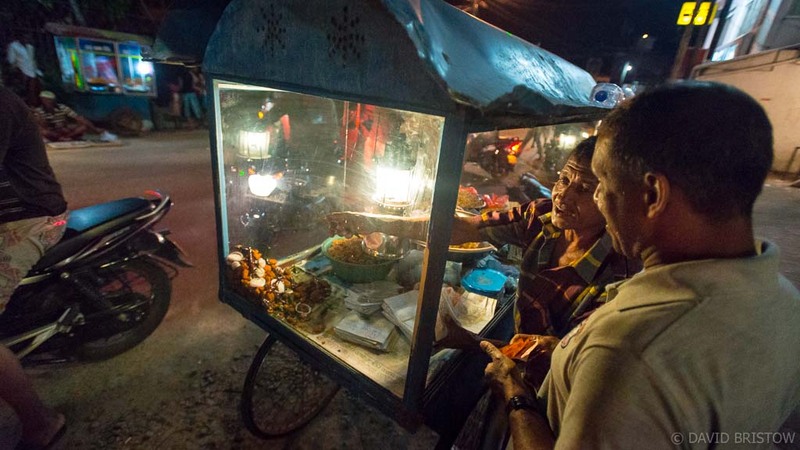 Here we sit elbow-to-elbow with locals, slurping mugs of milky tea and all of us noisily tucking into big plates of creamy potato and coconut curries, mopped up with bread and delicious circular noodle nests called hoppers. The mood is happy, spills are expected and remedied with patience, and extra helpings are offered freely. It’s delicious and cheap and we never pay a bill without a beaming cashier filling my daughter’s tiny hands with wrapped sweets. After our mid-morning feast, we wander through town and invariably end up down by the sea exploring bustling fish markets or climbing high cliffs to take in the sea views. 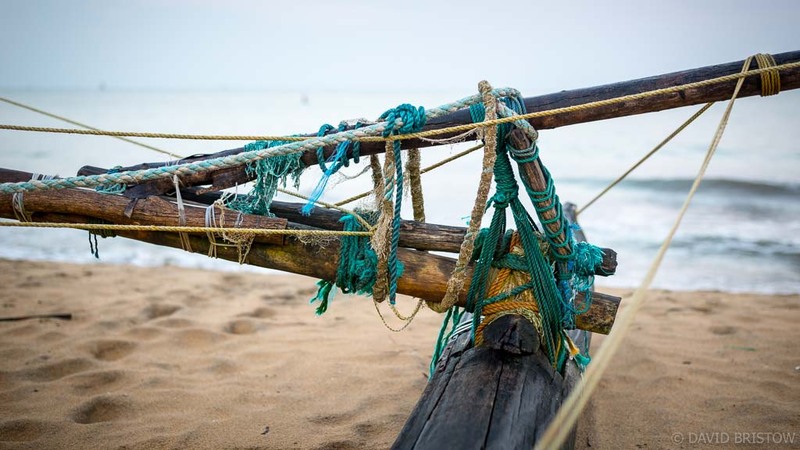 Bare-footed fishermen in chequered sarongs push their skinny outrigger canoes into the surf, paddling beyond the breakers and returning at day’s end to patiently sort their nets on the sand. They bookend long, sunny days that invariably end on the beach, dining by candlelight at tables dug into the sand and sharing chilly bottles of beer. Beyond the bleached sand beaches, a mangrove-fringed wetlands beckons us into kayaks, and to the east, green sea turtles lumber ashore under the cover of darkness, tirelessly digging nests and laying eggs and rendering each small gathering of tourists utterly spellbound. Understandably, that shady beach bungalow at Tangalle proves rather difficult to leave, but with our visas nearing expiry, we shoulder our backpacks and hit the road. A mere two hours of bus travel separates Tangalle from World Heritage-listed Galle to the west, but in true South Coast style, we manage to stretch time, spending six days leapfrogging along the coast before we finally shake off the sand and pass through the fortressed gates of Sri Lankan’s oldest, occupied city. Along the way we discover Matara. As our aging bus chugs slowly along the seafront of this unlikely tourist destination, we suddenly spy a tiny outcrop, cirqued by sea and topped by a gilded Buddhist temple. On an impulse we grab our backpacks and jump off the bus, spellbound by the sight of Parey Dewa (Rock in Water) and the stream of pilgrims crossing a golden bridge that spans the sea. We join the possession and abandon our shoes on the other side, climbing a haphazard maze of cool concrete staircases to discover shrines and lotus-filled fish ponds, and pausing to take in the astounding 360-degree views. Saffron-robed monks sit cross-legged in meditation, and prostrate pilgrims offer flowers and hopeful prayers. There is more to Matara than meets the eye so we look for a room and find ourselves at Polhena Beach, scanning the reef-fringed shore for green sea turtles that surface with quiet, distinctive puffs as they refill their lungs. The clearest of waters betrays their movements and the high tide brings them close to the edge of this rocky shoreline. We sit and watch, enjoying the shade and the serenity and being outnumbered by locals who have nothing to sell us and better things to do. A short stroll away where the reef arcs out to sea and sand is piled high on a sunny beach, we don snorkels to eyeball the turtles at closer range and drift in the current, scattering schools of fish. The reef isn’t pristine in a way that might impress an Aussie, but the water time is soothing and the sea is our own. Literally overnight though, the whole scene changes. We wake to find the country in holiday mode and that once deserted stretch of sand is suddenly playing host to a hundred picnics. There are food sellers and music and reunions everywhere we look. Locals launch gaudy, oversized blow-up toys and float en masse over the reef, flippers hitting masks in a watery, crazy swarm. It’s all good fun but ultimately a little too much. 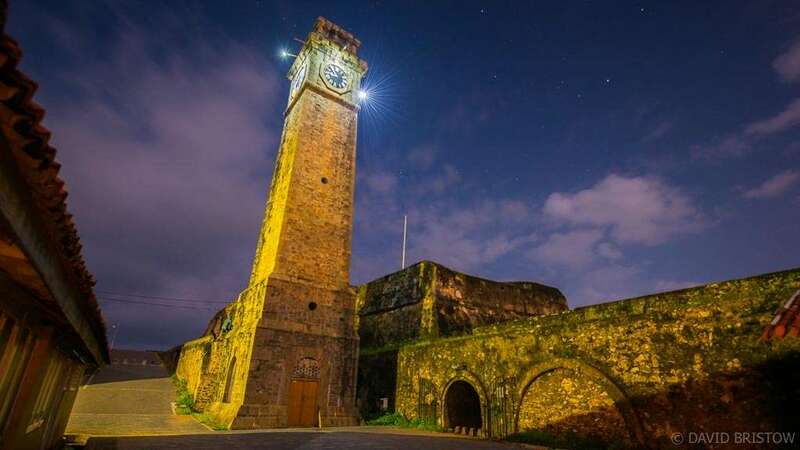 We leave the madness behind to amble around Matara’s waterfront markets, buying up pineapples and bananas, and make an historical sojourn at Star Fort where a solitary crocodile guards what might just be the world’s smallest moat. Our lively guide turns the afternoon on its head and our engaging tour ends yet another surprising day in Matara. 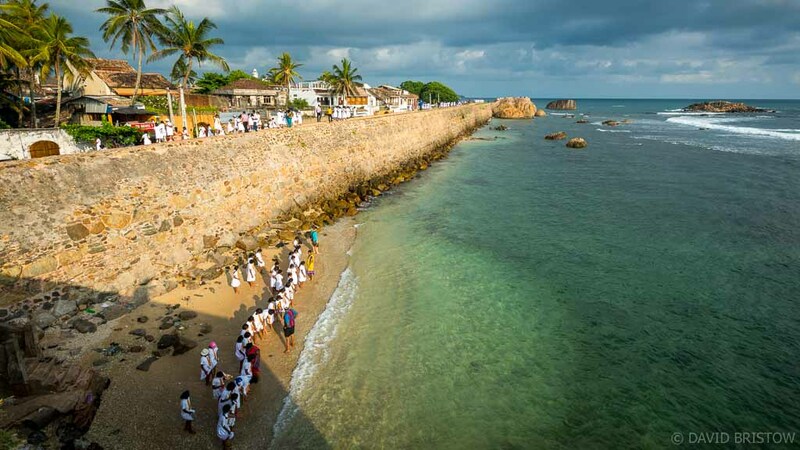 The next day at sunrise we jump a bus to Galle, Sri Lanka’s oldest, thriving city – uber popular, astonishingly beautiful and humbling in its authenticity. 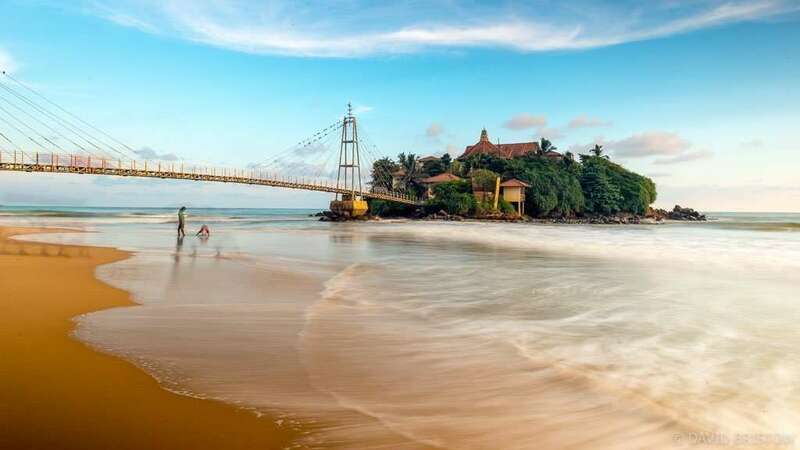 Built by the Dutch (to characteristic perfection) in 1663 and now World Heritage-listed, Galle (pronounced garr-le) harbours immense historical charm within its fortressed walls while effortlessly accommodating a summertime influx of tourists. 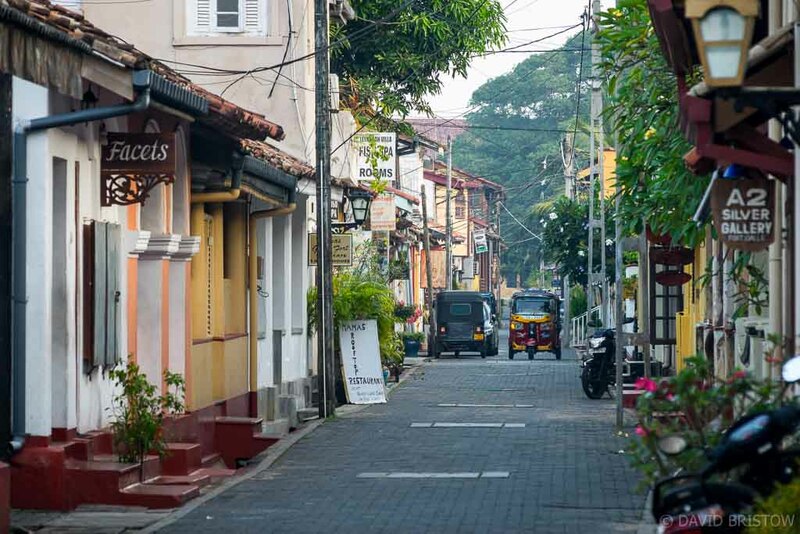 The locals lucky enough to call these flagstone streets their own add colour and flare, so much so that Galle has become something of a sanctuary for cutting edge Sri Lankan art, design and food. For tourists, that means plenty of great galleries and wine bars, ocean-view cafes and boutique hotels that occupy some of the oldest addresses in town. But what makes Galle really interesting are the ordinary daily rituals that keeps things real: the kids bouncing home from school, the three-wheelers ferrying shoppers from the markets, and at dusk, the street sellers hawking deep-fried disks of spicy lentils and curried potato samosas, Sri Lanka’s favourite beer snacks. At sunrise we climb to the top of the fort, strolling the high, stone walls for every improving views from Star, Moon and Sun Bastions, and spy a hidden swathe of sand down below where we join giggling school girls dipping toes in the cool, green sea. 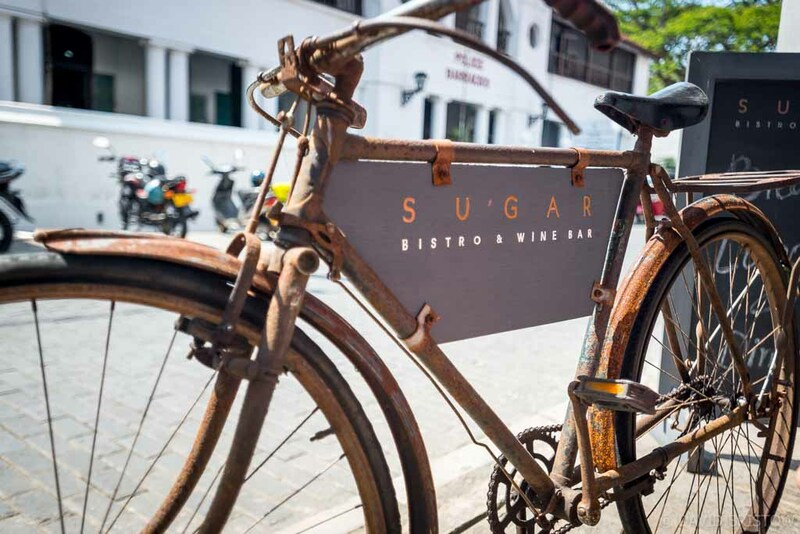 As the day begins we disappear into twisting backstreets, pocket our phones and discover by chance, the oldest café in Galle. Eighty-five years after her father opened Galle’s National Tea Room, Mrs Silva and her husband continue to serve the most authentic cuppa in town. The tea is especially good, brewed by Mr Silva for a tiny 50 cents a cup and teamed with lovely home-made biscuits and all sorts of advice about the comings and goings of Galle. Armed with Mrs Silva’s to-do list we wander on, ticking off museums and mansions, getting lost and finding great eats and finally climbing to Flag Rock to watch the locals watching the sun go down. When a sudden tropical rain shower scatters the crowd, we snap up delicious spicy bites and devour them with cold ales as the beam from Galle’s landmark lighthouse brightens the view. Beyond Galle the road beckons us north to the airport at Colombo, but before we check our bags there is just enough time for a few days’ surfing at Hikkaduwa. 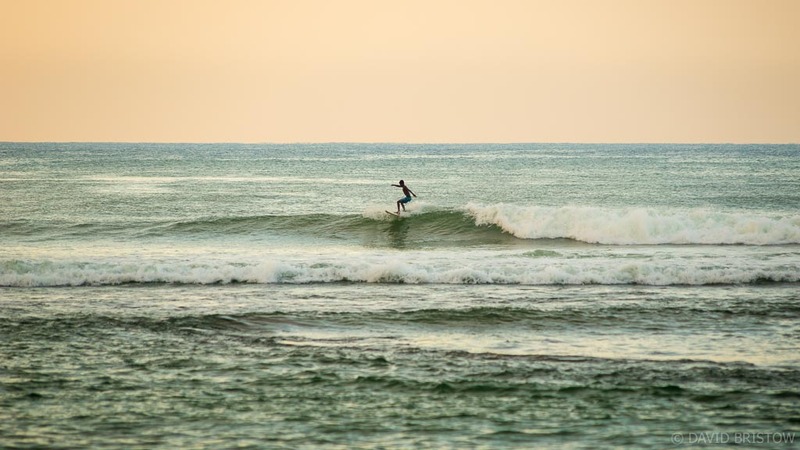 As Sri Lanka’s most popular surf break, Hikkaduwa is a squash and a squeeze: over-populated and far too noisy to conjure relaxation, so we join the party, order a round of cocktails and get rowdy too. The beach vibe is fun and the waves at Wewala are pumping, and despite the fact that our beachfront room is overpriced and past its prime, we enjoy the change of pace. It’s a great choice for travellers seeking company and wave action, but the beach can’t possibly outdo gorgeous Tangalle. 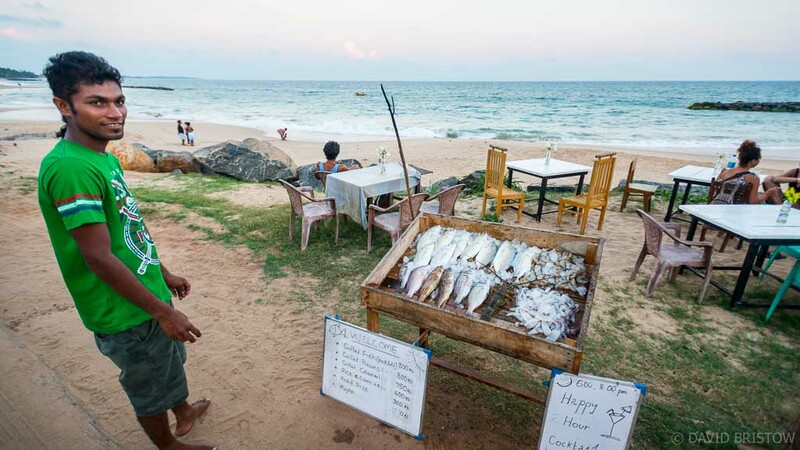 Offering us beach life in all its guises, Sri Lanka’s oh-so-affordable South Coast is like India without the crowds and as easygoing as Thailand 20 years ago. Surfers, beach-lovers and hammock-dwellers have been ‘discovering’ this surprising slice of paradise for decades, but the pace remains mellow and the experience, authentic. The only hazard of time spent here is that you’ll find it rather difficult to leave. Getting there: Flights land in Bandaranaike International Airport, 30km north of Colombo. 30-day tourist visas are available online (USD$35 for adults, kids under 12 years enter for free, eta.gov.lk). 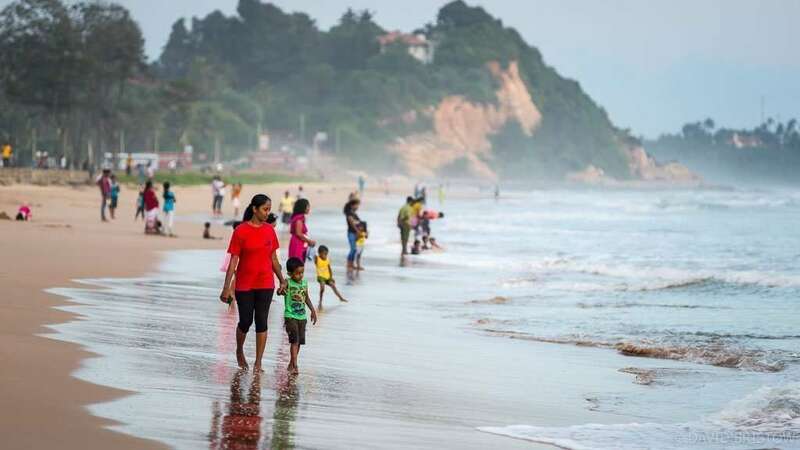 When to go: Expect great weather, crowds and peak season prices from December to April (avoid the June-September monsoon). Beds are easier to find in May and November. Don’t miss: Aurudu (New Year’s Eve) on April 13; blue whale-watching in Mirissa (December to March); Galle’s Literary Festival in January (galleliteraryfestival.com) and green and hawksbill turtles nesting on Rekawa Beach from April to September. Thanks Steve, I would go again in a flash! 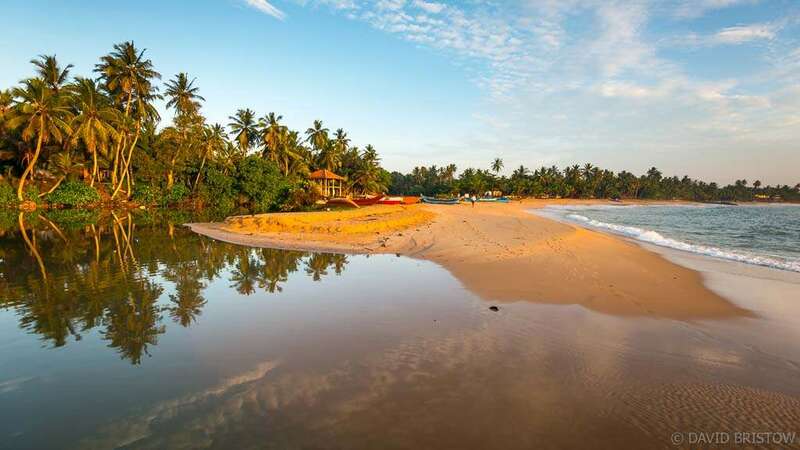 Sri Lanka boasts the beaches that travellers hope to find in Thailand and Bali, but don’t!